HTC Corp. on Tuesday unveiled its latest smart phone – the HTC One, an Android device that comes with all-metal body, snazzy camera, improved audio, impressive UI and other powerful features. Frankly speaking, this year will be a critical one for HTC, which needs to prove that it can still compete in the increasingly duopolistic market and compete with the best smartphone offerings from Apple, lG, Nokia and Samsung. 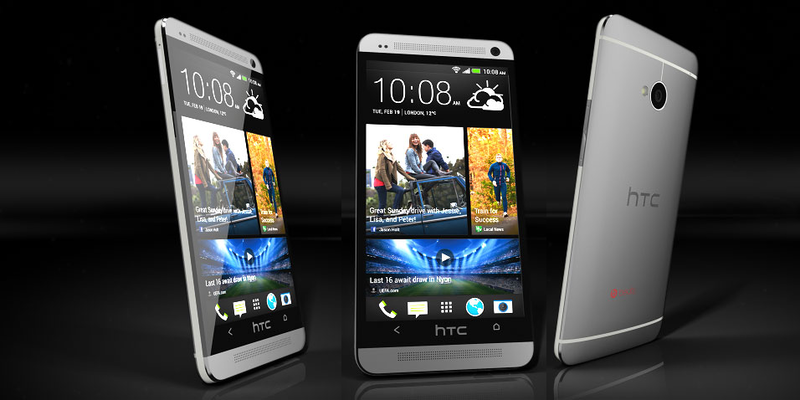 HTC hopes to change that reality with the new flagship HTC One which will be available soon. All-metal Body Design: HTC’s design and software teams did their jobs in creating an attractive, unique, and premium-feeling phone, taking Apple’s love for metal construction and taking it to the next logical progression. Snazzy Camera: The HTC One camera is called the HTC UltraPixel Camera, it has an F2.0 aperture and 28mm lens, and can capture full 1080p video, We were told that the camera is capable of capturing 300% more light so that it works better in low-light conditions. Improved Audio: The HTC One comes built with two front-facing stereo speakers, along with a dedicated amplifier and Beats Audio, from what I could tell, the phone could indeed have a better volume level than the typically terrible sound that most smartphones have. High-performing Processor: The phone will ship with a quad-core 1.7GHz Qualcomm Snapdragon processor, producing smooth and speedy running experience. Snappy UI: Special emphasis was put on the new home screen interface, called HTC BlinkFeed, the BlinkFeed home page does look rather impressive: three large rectangular windows showed various graphic presentations of news, video, etc. Operating System: The HTC One is not running the latest build of Android (4.2), but a version released earlier in 2012 (4.1). However it is good enough for common usage. Long Battery: It is powered by a 2300 mAh Li-Poly battery, which should be enough to get full-day use out of the phone. Price and Availability: HTC expects to start selling the phone worldwide in March at more than 85 mobile operators. In the U.S., the list includes AT&T, Sprint and T-Mobile, but notably not Verizon Wireless, which recently launched HTC’s Droid DNA phone. Reportedly, prices will be $199.99 for the 32GB model and $299.99 for the 64GB model; however, that hasn’t been confirmed. With its One X, HTC made one of the finest smartphones of 2012. Unfortunately, the device’s limited availability and lackluster marketing kept it from achieving mainstream success — particularly next to near-ubiquitous competitors like Samsung’s Galaxy S III. 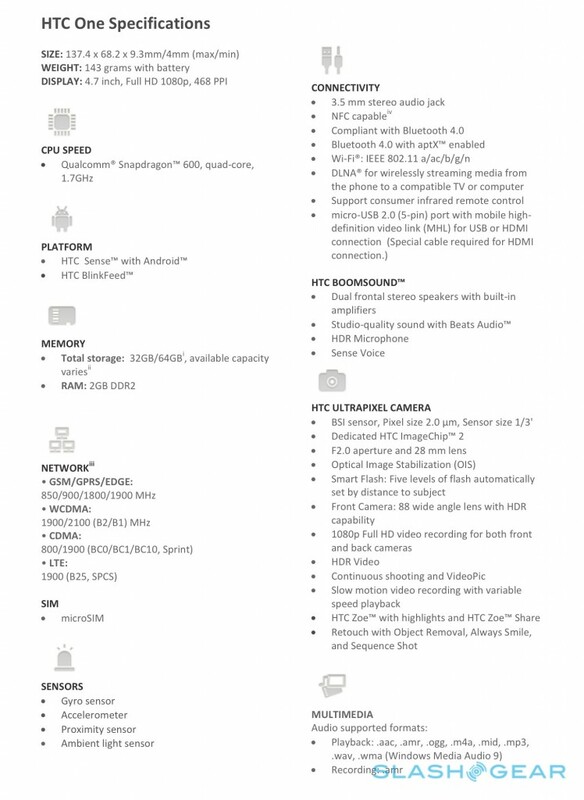 Now is HTC on the right path to success with the forthcoming HTC One? We will pay a great attention when the phone actually goes on the market. Although Microsoft is still promoting the sale of Windows 7 desperately to consumers and enterprises, rumors about the next version of the operating system “Windows 8” called by public media have already started. Some websites and blogs suggest that the cloud services will be added and integration of biotechnology will be enhanced. The exact form of Windows 8 software is still remain uncertain, but has affirmed a few months ago that the next version of the operating system will support SoC (system-on-a-chip) architecture, especially ARM-based systems from partners such as Qualcomm, Nvidia and Texas Instructions. Signs indicate that the “Metro” design scheme Microsoft designed for mobile phone OS WP7 and Zune HD will become part of Windows 8 design. Metro explains the “Less is more” aesthetic concept in an unique way. Microsoft has announced that the next version of Windows will support SoC (system-on-a-chip), in particular the ARM-based system which has dominated the leading role in mobile domain. In theory,, this will make tablet PC support possible. A website called Microsoft Magazine made a summary of the Windows 8 possible features based on the disclosed slide descriptions, “applications from Microsoft Application Store downloadable” is included. Microsoft has paid full attention on cloud technology so the next version of Windows will probably contain a more comprehensive integrated cloud function; separate setting between devices is included. According to the disclosed slides by Microsoft Magazine also suggested that the next version of Windows is going to start up in a super fast speed. Based on the recent blog posted on Rivera’, bloggers Rafael Rivera and Paul Thurrott introduced that the earlier version of Windows 8 explorer integrated the Ribbon interface of Office style. 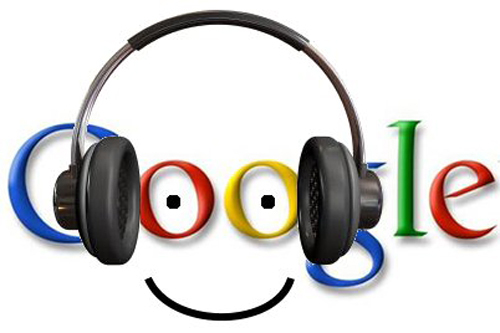 Library viewing, image processing and driver managing can be achieved with these apps. Rivera and Thurrott also found out a screenlock interface designed for Windows Phone 7 in an early time. Elements like time, date and power management icons are included. According to the relevant Windows blog, Microsoft may integrate a PDF reader for Windows 8. An extended version of Internet Explorer has also been found by Rivera and Thurrott. It can make Windows 8 works in the way mobile devices do by taking advantage of Internet Explorer 9 renderer. HP has been trying hard to provide more biometric hardware and software for its consumption products and enterprise products (including fingerprint and facial recognition). Microsoft may try to make use of a more powerful biometric recognition to achieve Windows 8 login. If Microsoft wants to make Windows 8 easier to use, it should provide more designs and functions center on multi-touch support (or other similar connectors). Rumor hinted that Microsoft will probably integrate a backup utility for Windows 8 which is similar to Time Machine on Apple Mac OS X. Believe it or not, Apple iPad is the nightmare of other tablet computers. 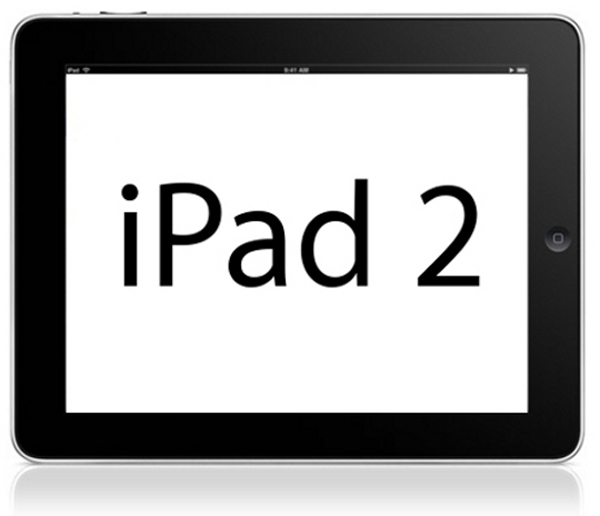 When the selling of iPad is on a roll, iPad 2 will be on the market soon. 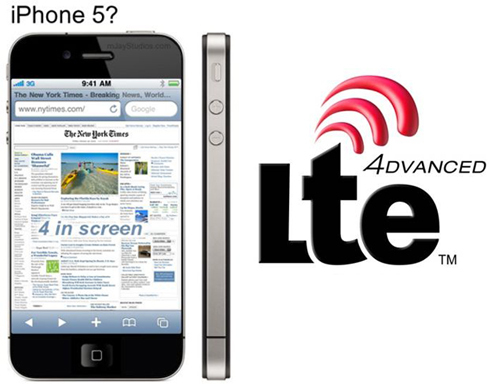 Before the iPad 2 official release, it has received hot discussions from iPad inclined and iPad technophiles. People are wild about the new features supposed to be added to iPad 2 and there are lots of assumptions although it is still covered with mists of uncertainty. Now let’s take a look at those assumptions. What does iPad 2 look like? Is iPad 2 resolution doubled? According to the speculation of professionals, a relatively probable way is to double the screen resolution of iPad 2, from 1024 x 768 to 2048 x 1536. Although it is not in accordance with the requirement of “Retina” display screen, it is identical to the iPad product line. New case indicates that iPad 2 embraces with standard base connector. Seen from the back, the bottom of the left side is an integrated speaker and the top of the left side is a post camera whose left side is voice control button. Based on the previous report, iPad 2 will be equipped with built-in SD card slot but the definite position has not been confirmed. The so-called “World iPad” refers to that it can support both GSM and CDMA networks. Analyst Brain Blair from Wedge Partners who draws words from HP channels claims that Apple is developing a kind of iPad that supports GSM and CDMA networks as well as bases on Qualcomm multimode CDMA-GSM chip. Since the debut of the first iPad, a lot of users complain that the USB connectors are not enough. Apple should consider adding another USB connector to iPad 2 even though it adheres to the simplification on product design, because except iPad the other tablet computers are with USB connectors. One of the greatest defect of the first generation iPad lies in that it is incapable of capturing static stills or shooting videos. The function is available within the peer devices including Motorola Xoom. According to the report, two cameras will be attached to iPad 2, one is on the front side and the other is on the back side. Web browsing is the most important feature of iPad on network application, and another vital factor is about flash. Safari browser embedded in iPad does not support flash that is the reason why we can not get some flash advertisements. It is still unclear whether iPad 2 supports flash. 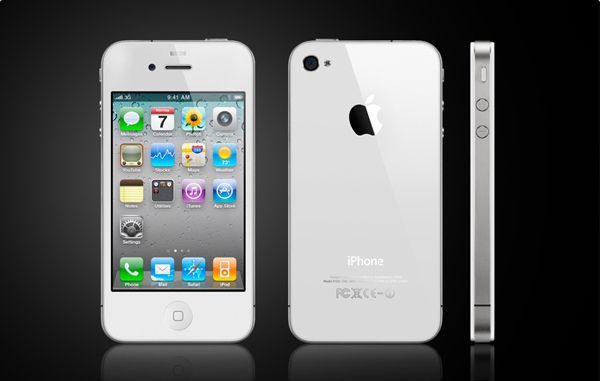 Recently information about Apple’s brand-new iOS 4.3 can be reached on the internet. Through screenshot, it is predicted that iPad 2 is going to support FaceTime as well as running on the new iOS 4.3. Analyst Ashok Kumar from Rodman & Renshaw states that in the following March Apple will upgrade iPad product line and at the end of summer 2011 iPhone product line will be upgraded. An important part of upgrade this time will be 1GHz ARM Cortex A9 dual core processor. If it is equipped with 128 GB memory space, iPad 2 will become the most powerful competitor among laptops. Designed by Apple, MacBook and MacBook Air possess 250 GB memory space. If is obvious that Apple aims at improving the availability of iPad 2 by expanding its memory space. 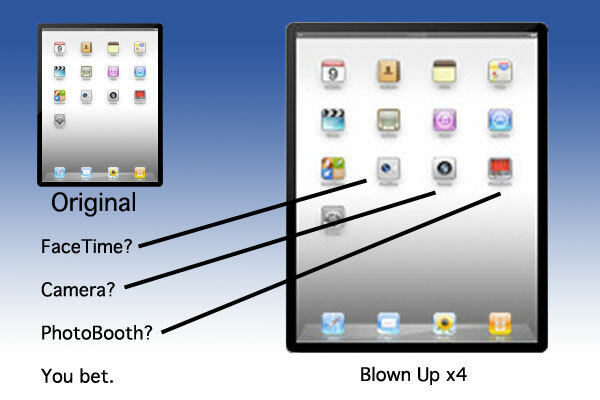 Of course, not until the official release of iPad 2, the above are just rumors. Let’s wait and see what will iPad 2 look like in the following days.